Both crowds were hot, but SmackDown had some really good moments thanks to the return of the GOAT, Chris Jericho. I don't know what its been about the Raw commentary team as of late, but I've loved them. Booker T, even though I really dogged on him before, has really stepped them up and is much better than David Otunga(no shock there). But during the opening segment where Strowman, Reigns, and Joe ended up beating the crap out of one another, Booker T was on fire. At one point, Strowman had thrown a "security member" literally out of the ring to the ramp and in middle of the poor man soaring like a lopsided bird Booker T spits out the line, "We need more security!" and I just couldn't help but laugh. I loved the return of Y2J. He is easily one of my top 3 all-time alongside the likes of HBK and The Undertaker. However, about all SmackDown had to offer in terms of matches was the triple threat main event. They had a solid storyline build with Shinsuke, Cena, and Jinder, but other than that it was a dudfest in matches. Raw had Elias vs. Finn in a no DQ battle that was fun to watch. Sasha and Bayley had a match that wasn't their NXT Takeover level stuff, but still good. The Revival had a match, so of course it was good since they are seemingly incapable of a bad match. And then the main event wasn't as great as I was hoping, but still entertaining. The opening promo for Monday Night Raw is truly one of the best of the year so far. It had everything you needed for an A+ promo. The heat seemed true, and throwing Brock Lesnar into this will only make it better. John Cena cut one of his classic promos as well, really going after Jinder Mahal before finding out he has to go through Shinsuke first. SmackDown had a good opening promo as well with the return of the legend that is Y2J and his "You just made the list!" moments. Other than these, there were just short random interviews of little to no importance. SmackDown wins where it counts. Is the return of Chris Jericho a longer term thing, or was it a one night only? Because that changes the face of SmackDown Live, but it seems to be a one night thing after the promo that KO cut after his match saying it was unfair that he was even there to begin with. I hope he stays a while, but I'm not guessing that'll be the case. The John Cena vs. Shinsuke Nakamura for a shot at Jinder is a cool thing that has a seemingly obvious ending but it is fun nonetheless. Raw has a better tag team scene due solely to The Revival, and their women's division is heating up with what seems like a Sasha Banks heel turn on the horizon. The fatal four way for the Universal Championship is the biggest story so far and they are absolutely crushing it. Way too many commercials for a three hour show from Raw, and I just cannot look past that. It's odd that the win comes down to this category. But that opening promo from Raw had some incredible visuals. Like Braun Strowman literally tossing actual human beings in what could be record distances. The surprise return of Y2J give SmackDown .5 more points. 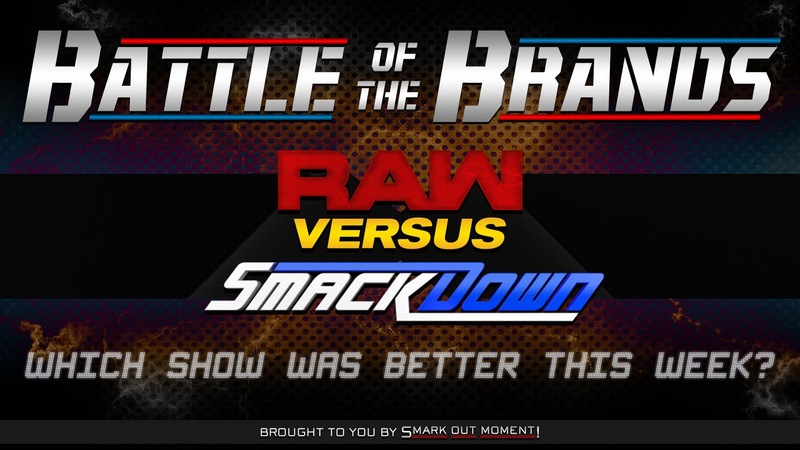 Raw wins what could be the closest BOTB we've had by 4-3.5 tally. Both shows were really good in my opinion, it's just that SmackDown has the roster to have better matches on TV than what they're showing. That's what is costing SmackDown wins right now, and I'm hoping that they step up with better pairings and better matches in the future.